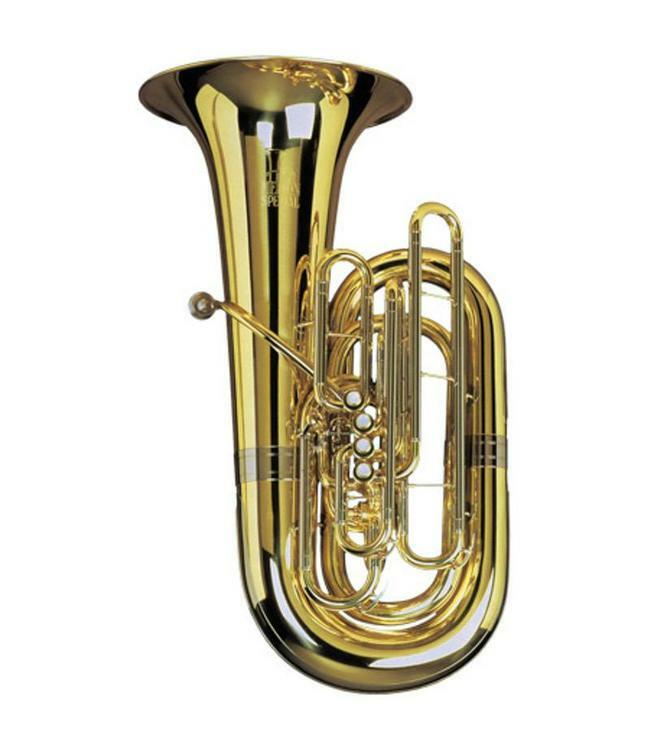 This full-sized tuba is small in appearance but surprising due to the power and projection of the sound emitted.This is an ideal instrument for general playing, especially if you own only a single tuba or need a high quality instrument for the unpredictable demands of free-lancing. This instrument is at home as a solo instrument, in chamber music, in average-sized orchestras, or lighter orchestral repertoire. The piston valves feature over-sized valve buttons for ease of use and the highest quality piston valves on the market today. This instrument was designed in cooperation with Sam Pilafian. 4th valve 20mm / .787"
bell : 42cm / 16.5"